LOS ANGELES — If it’s April, it’s time for the first battle of the 2017 smartphone wars. Samsung released its latest state-of-the-art phones to take on longtime rival Apple with two re-designed Galaxy’s. 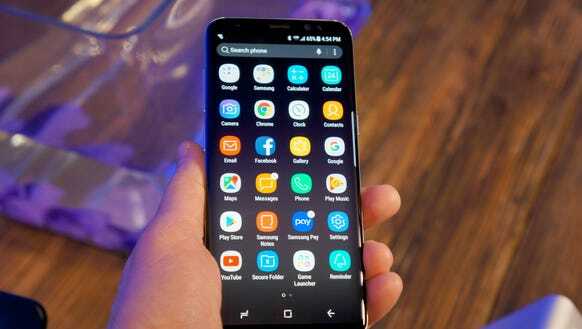 Critically lauded as the best models ever from Samsung, they are also the biggest phones ever from the Korean company, with 5.8 inch and 6.2 inch screens. And they pack a lot into those screens by minimizing the bezels, or frames. That’s raised the stakes for Apple, which in June will release many new software enhancements for its iOS operating system, giving a sneak peek into what’s expected in the new iPhone. The third act is in September, with the release of the new 10th anniversary editor of the iPhone, and the all-important fourth quarter selling season. Samsung is recovering from its debacle last year when its well-received Note 7’s batteries caused some phones to overheat and catch fire. The consumer complaints, the photos and the price tag were ugly. That phone got recalled, and Samsung says it learned many lessons in manufacturing and design. As gaga as critics have been for the new Galaxy’s, just wait for September. This year happens to be the 10th anniversary of the first iPhone, and Apple is expected to milk the occasion big time with one totally redesigned model. The iPhone 8, if that’s what it ends up being called, could follow in Samsung’s footsteps with a way bigger screen, and is expected to jump on the Augmented Reality bandwagon — the theme of Facebook’s F8 developer conference this week — with new AR features and a dramatically improved camera. Meanwhile, the current iPhone 7 and 7S are expected to keep their current form factor, but get hardware upgrades as well. Apple sells more than twice as many iPhones than Samsung’s premium Galaxy phones—over 220 million to around 100 million. Can Samsung catch up this year? Doubtful, but it’s great to see the company give the competition to Apple. Meanwhile, other big tech stories of the week included Facebook’s plans to overlay your current physical world with a lot of digital artifice. Say, for instance, you’re having breakfast alone — augmented reality can add a second coffee cup to the table, and voila, digital companionship! At its developer conference this week, Facebook laid out a future that was heavily invested in augmented reality. AR of course where digital images are super imposed over real life, while virtual reality is when you don a headset to step into another world. How will Facebook’s version of augmented reality go beyond what we’ve seen in apps like Snapchat and Pokemon Go and how life changing will they be? 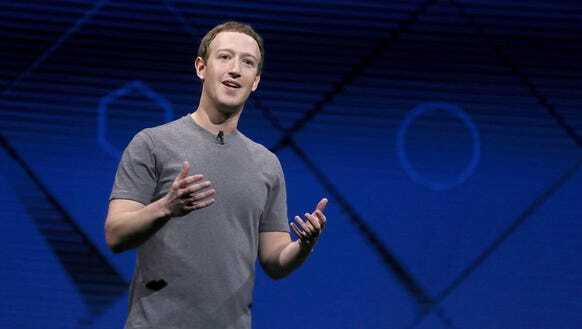 Facebook co-founder Mark Zuckerberg painted a picture of it coming round the bend within the next few years, saying we’ll use our smartphone camera to jazz up our apartment, with imaginary AR decorations, or put on the headset to go on vacation with family and friends, virtually. If you don’t feel like waiting around, you could check out the new Snapchat AR “lenses,” which were released just as Facebook kicked off its AR spiel. The Lenses feature lets you do wild things without smartphone camera, like transforming you and your friends into dogs, rabbits and dancing bumblebees. Now Snapchat has a new option, New World Lenses, for adding three-dimensional augmented reality objects such as rainbows, flowers, clouds and words to jazz up scenes. And if AR is too much for you, how’s for some heavy real reality—like driving around in a flying car? A Slovakian company named AeroMobil said it would start taking pre-orders on its flying car, one that could be available in less than 3 years. However it’s not cheap–it will only cost you around $1.3 million to buy. Who’s in?